This cool action sports design is a must have free vector download. 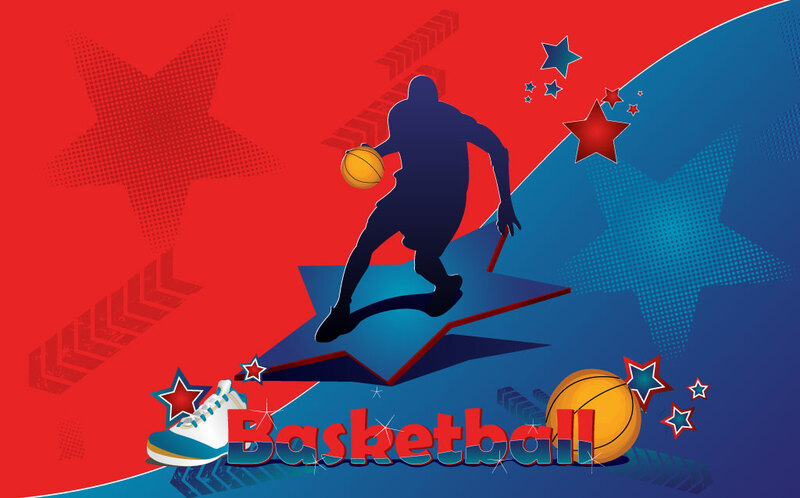 The red and blue color scheme, silhouette, stars and basketball logo style graphic make it standout stock footage. Add photos, dates and relevant copy for an instant community league tournament flyer. Tags: 3D, Action Sports, All Star, Ball, Basketball, Competition, Sports, Stars.